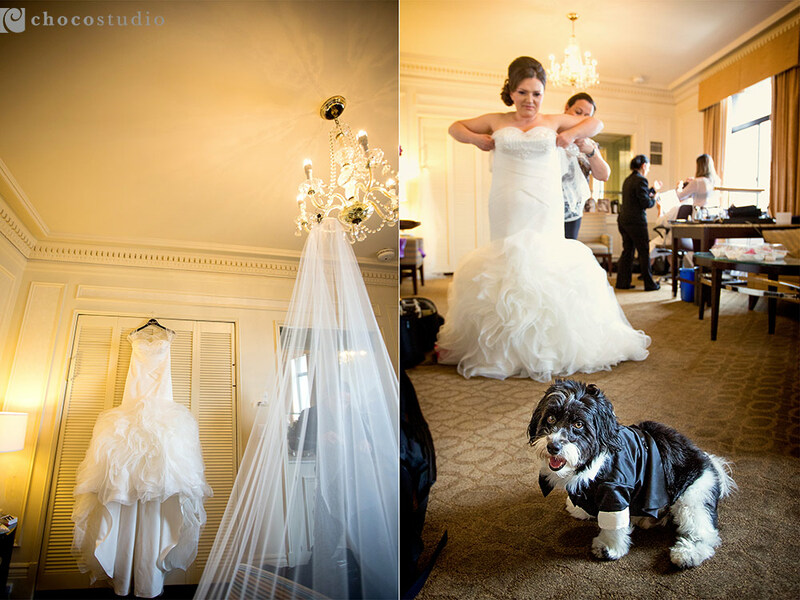 What do you do if you wake up on your wedding day and it’s cold, rainy, and windy? 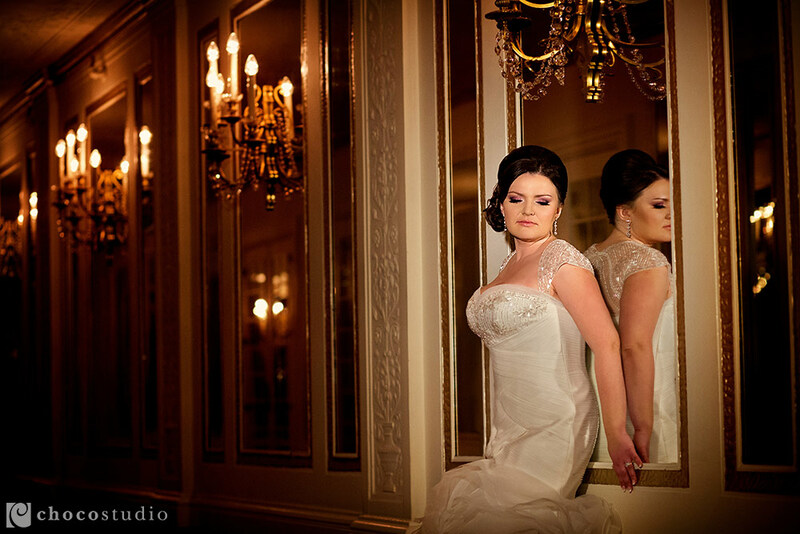 Well, you smile and outshine the weather with your happy attitude of course! 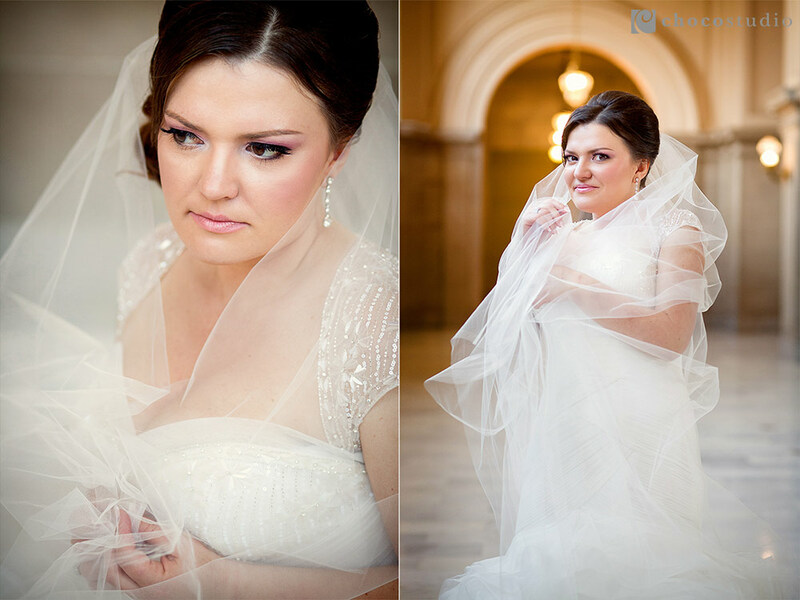 Katya and Vadim’s wedding took place during one of the worst April storms this year and we had to quickly tweak the schedule and portrait locations to stay dry. 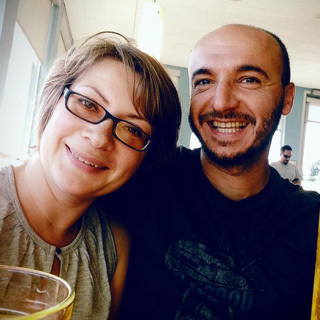 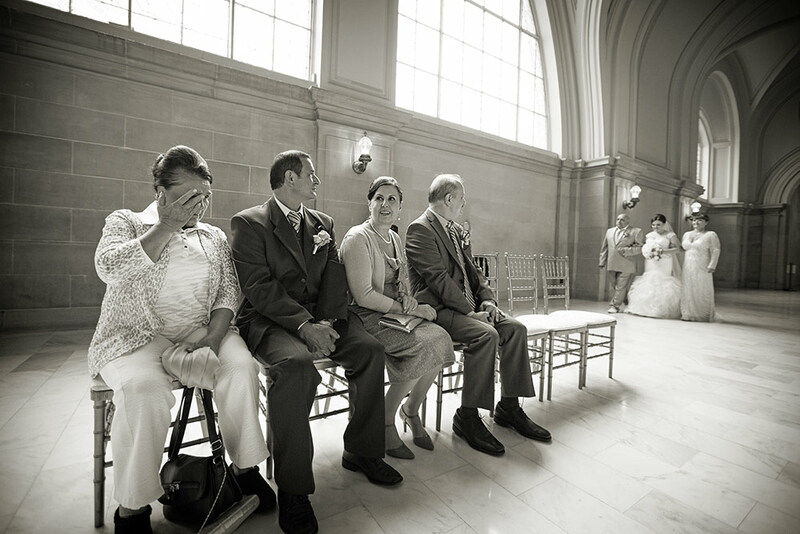 The brave couple was determined to not let anything spoil their day, though! 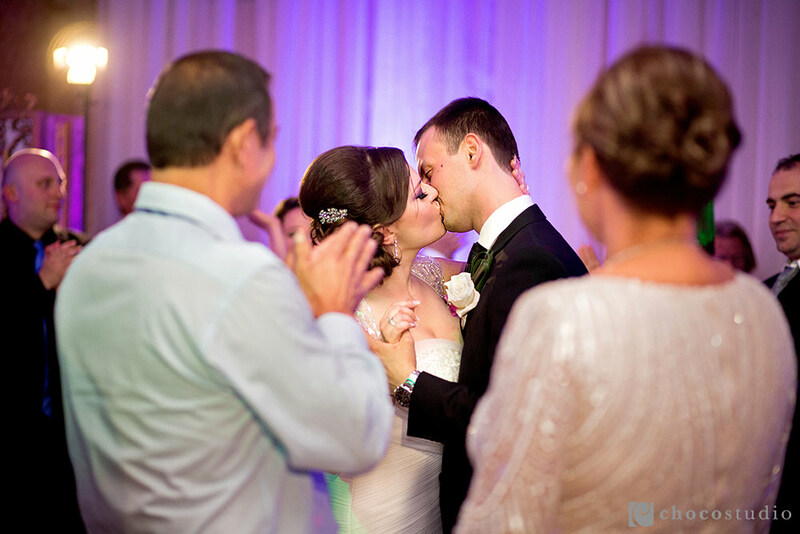 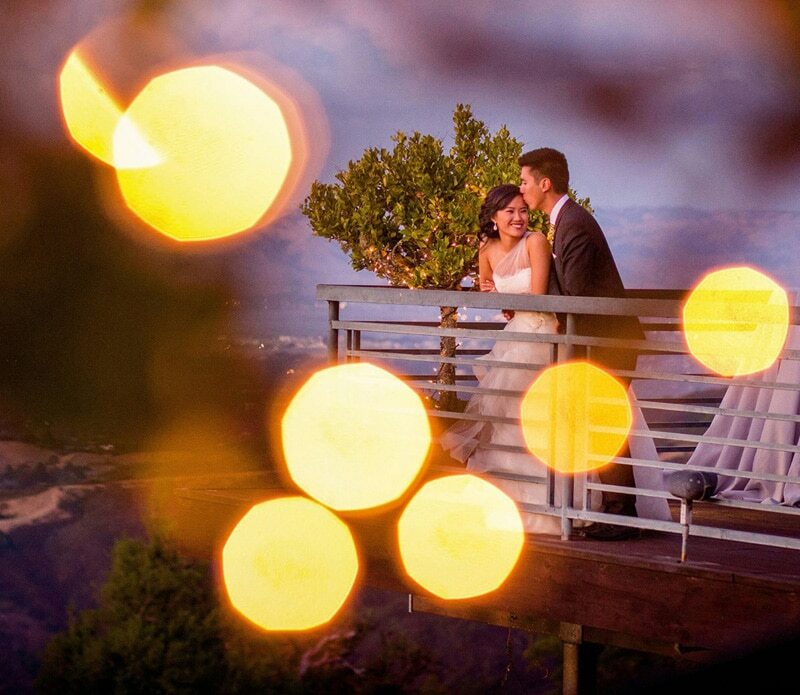 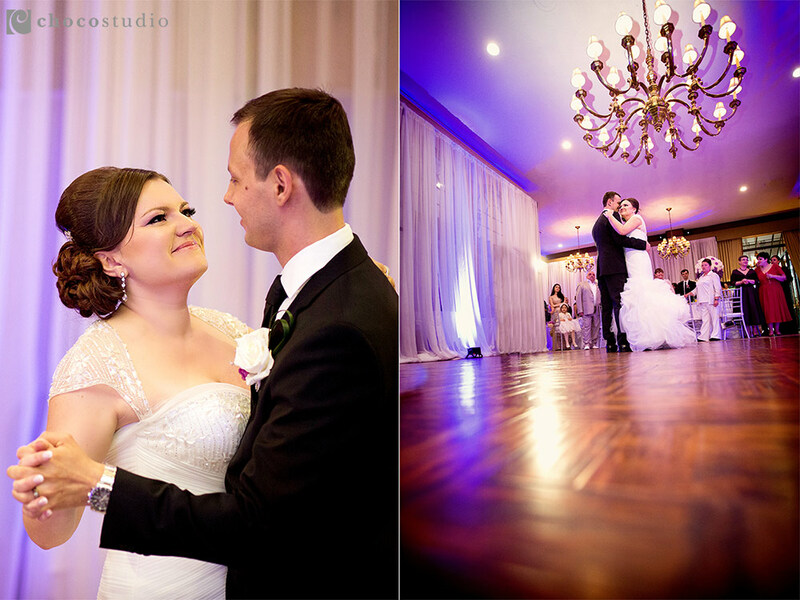 It turned out to be a beautiful and memorable wedding with great opportunities for photography. 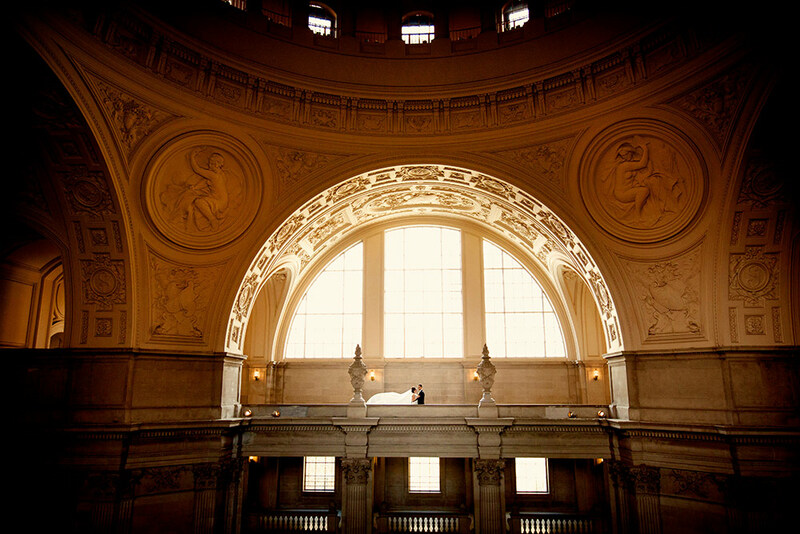 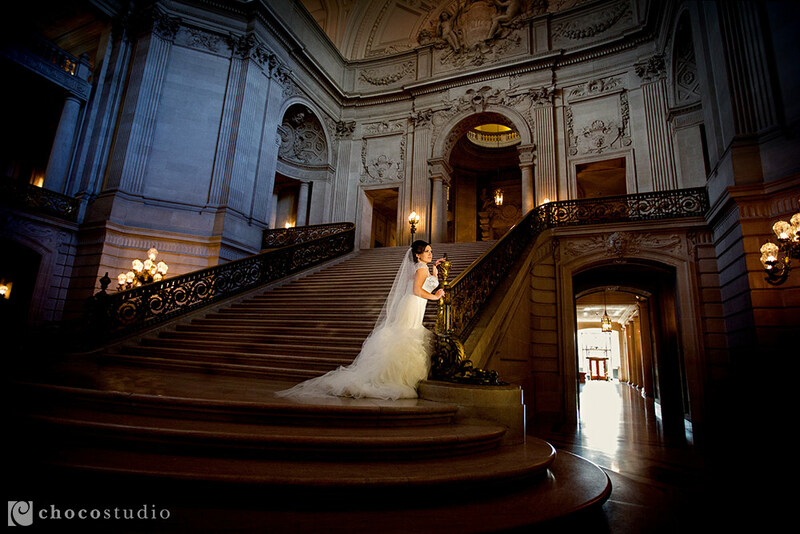 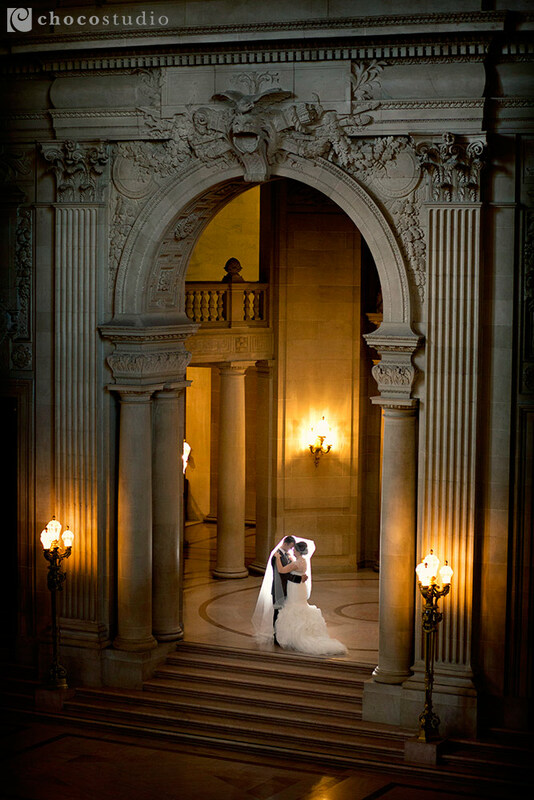 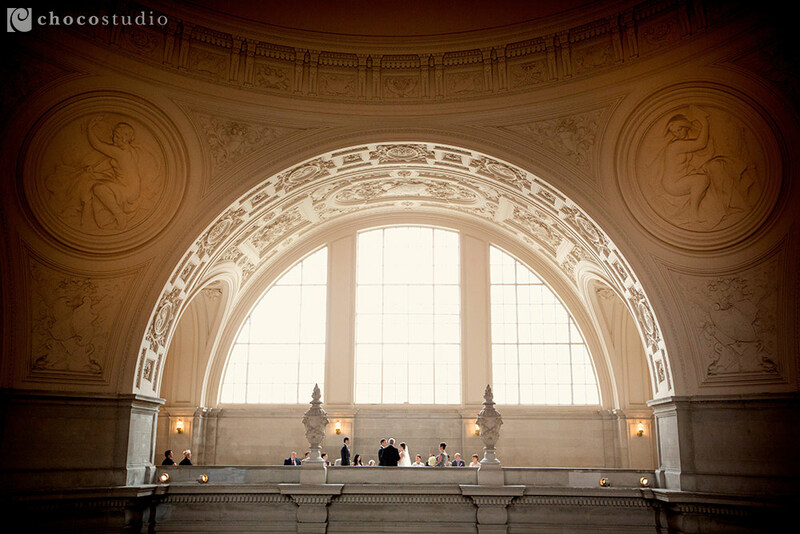 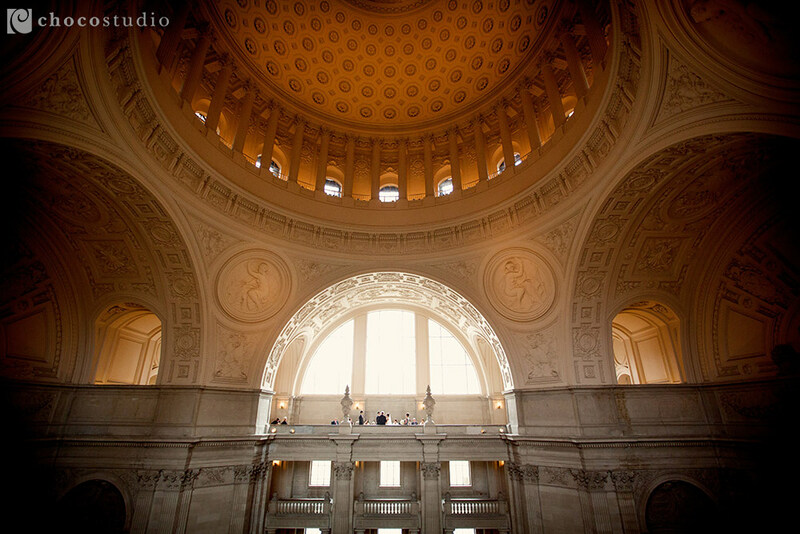 This is the reason why people fly from all over the globe to get married in SF City Hall – the ceremony view is truly unbeatable! 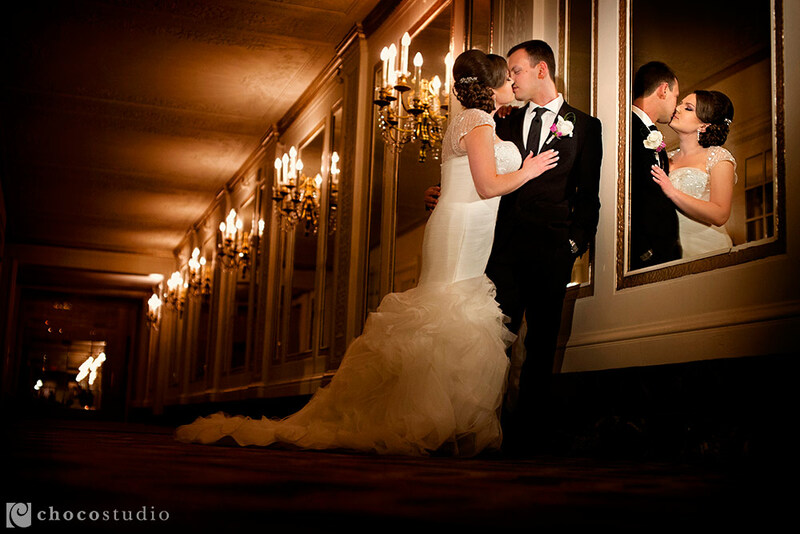 And then we were off to the reception. 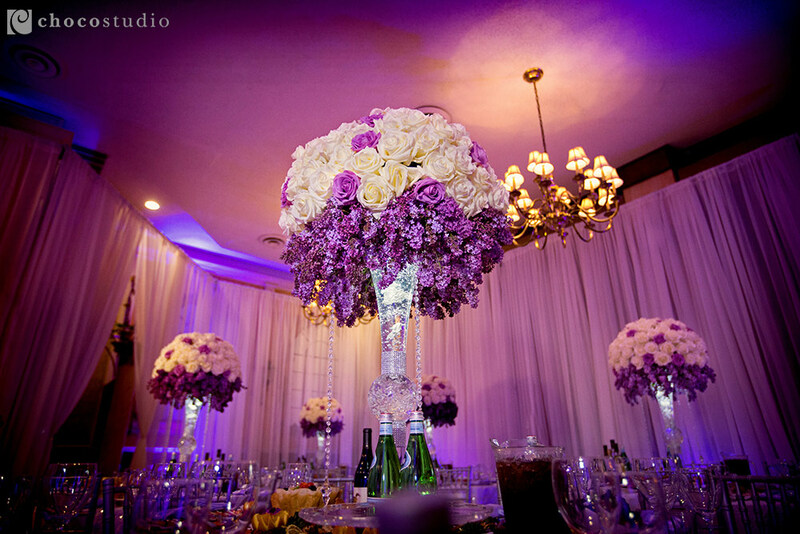 The whole room was transformed into a gorgeous lilac field and it smelled amazing!